This incredibly tasty gourmet soup is not only loaded with flavour but also with plant protein, fibre and essential vitamins and minerals. 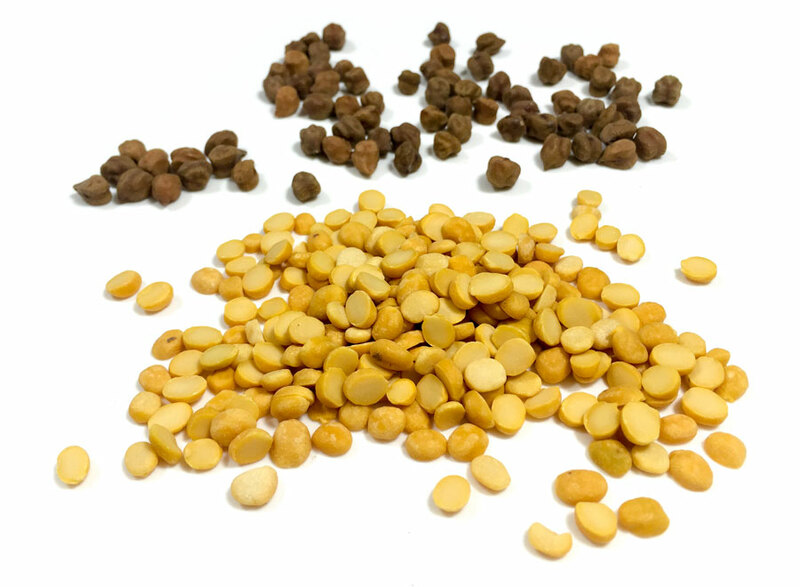 The protein comes from the split chickpeas (chana dal). The chick peas give it a creamy and silky texture without the heavy cream. It can be served as a first course or a larger portion as an entree. Split chick peas are black chick peas with the skin removed. Place water, coconut milk, chopped squash and chickpeas in a large saucepan and bring to a boil on medium high heat. Reduce heat, cover the pot loosely and allow to simmer for 30 to 35 minutes until both the chickpeas and squash are completely softened. Allow to cool. When cooled, blend with a hand held blender (or pour into your blender) until smooth. Add turmeric, salt, ground coriander, and cayenne (if using). In a separate frying pan heat oil on medium high heat, add cumin and temper for 1 minute. Add garlic and ginger, cook until fragrant and slightly browned before adding chopped tomatoes. Cook the mixture until tomatoes are softened. Add tempered mixture to soup. Put soup back on stove to allow it to heat up again. Meanwhile, in the same frying pan, sautée the sliced fennel with a little more oil on medium high heat for about 4 to 5 minutes. 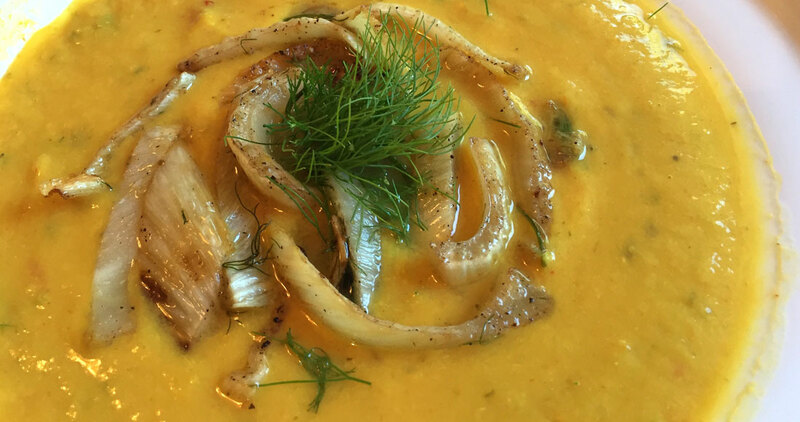 Mix some of the cooked fennel into soup and save the remainder for adding as a garnish to each soup bowl. Serve hot. Oh Parkash … can’t wait to try this!! Sounds so yummy! !